Display your favorite apps to the world. Is there a better alternative to Apps Showcase? Is Apps Showcase really the best app in Lifestyles category? 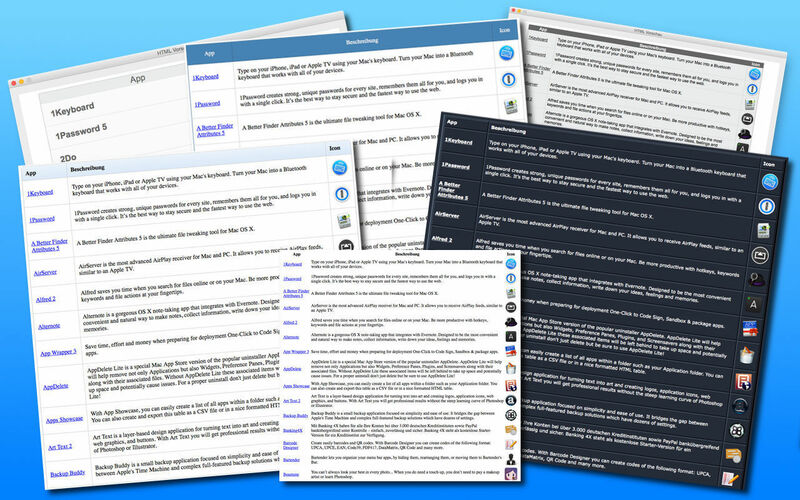 Will Apps Showcase work good on macOS 10.13.4? Added Dark Mode Support for macOS Mojave and above. Apps Showcase needs a review. Be the first to review this app and get the discussion started! Apps Showcase needs a rating. Be the first to rate this app and get the discussion started! With Apps Showcase, it is very easy to showcase your favorite apps to your friends, family, or the whole world. Select the folder where your programs are located, and Apps Showcase lists all apps with their icon and name. 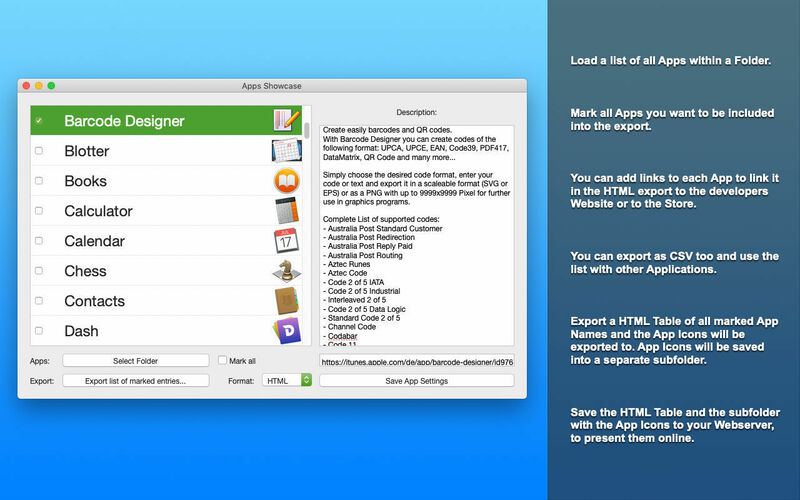 Select the apps you want to present in your Showcase list. For each App, you can add a description and a link. If you enter your PHG affiliate code in the Apps Showcase settings, it will be added automatically to each iTunes link. Export the list as a CSV file for further processing in a spreadsheet or as an HTML Web page, including images, clean linking, and different designs. 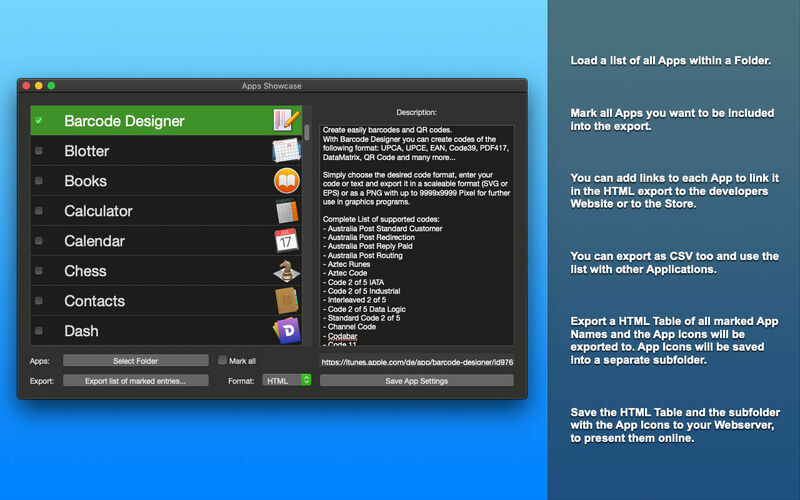 You can upload the HTML Web page directly to your Web server using the FTP Export feature from within Apps Showcase. All settings and information are stored locally, and are restored each time you start Apps Showcase.